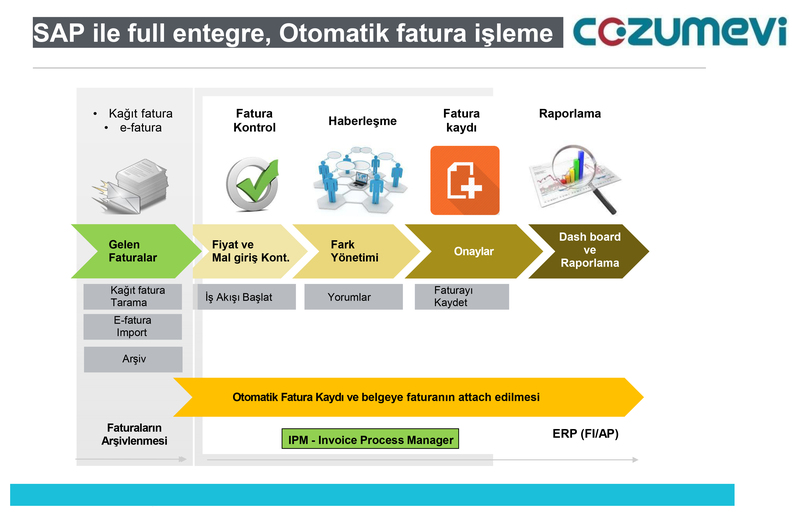 Get a fast and efficient automatic invoice management solution with Çözümevi IPM – Invoice Process Manager, which is fully integrated with SAP. Developed by 19-year experience and expertise of Çözümevi, IPM – Invoice Process Manager automates invoice processes in your company, saves time and costs, and increases efficiency. With the fast approval process, fast invoice registration and invoice archive provided by IPM, you achieve an unprecedented ease and speed. As a result of full integration ensured by SAP FI, MM and SD modules, you can create accounting records of your invoices in a correct, fast and full manner. In addition, with the full-time integration that IPM has with special integrators and other e-invoice solutions, you have a wide variety of choices to ensure your legal compliance. NO MORE internal paper invoice circulation! NO MORE internal invoice tracking via phone! NO MORE time spent on invoice processing! NO MORE price and amount errors in invoices! NO MORE searching for appropriation with digital matching of document and invoice! NO MORE delayed monthly closings! What can you do with IPM? Send incoming invoices to the related persons by e-mail with the identified approval workflow diagrams. Manage the process by giving an invoice approval from the system or via mobile device. Create accounting records automatically over SAP FI, MM and SD modules. Process invoices carried out with the procurement order. Process invoices that do not have procurement orders and that are directly entered into the accounting system. Validate SAP seller code with the Tax Identity Number contained in the data of the incoming e-invoice. Identify the price and amount differences during invoice entry. Process SD return invoices and gross premium invoices. Report the price difference and amount differences on supplier basis. Process paper invoices with OCR integration. Include the invoice document as an attachment to the SAP record. Store your invoice records centrally in a digital archive. Record and monitor invoice approval flows as log files. Achieve integration with special integrators and other e-invoice solutions. Savings on expenses since paper printouts are not required during the invoice process. No need to circulate paper invoices within the company, which means savings on time and labor. No need to spend time to track invoices anymore. Automatic invoice records, time saving, and minimizing errors. 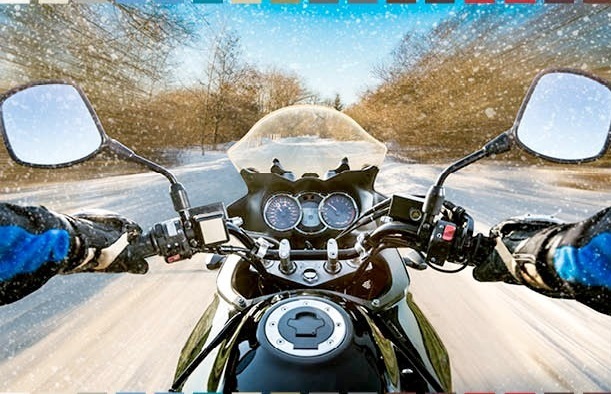 Easy-to-learn and use, since you operate within SAP. No expenses for additional hardware.